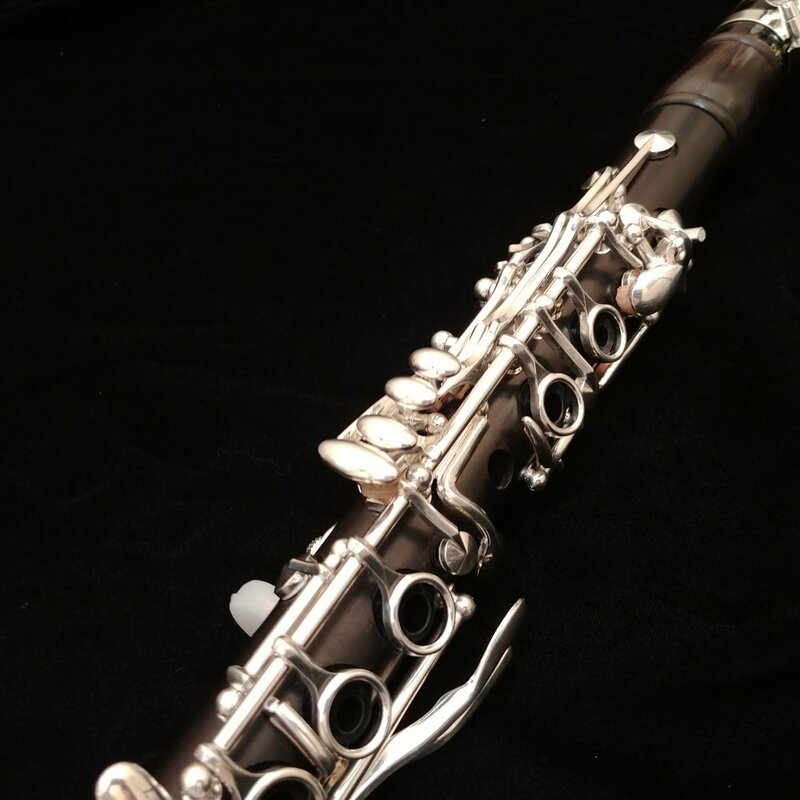 Kessler Custom Wood Eb Clarinet - Includes Vandoren 5RV & H-Ligature! 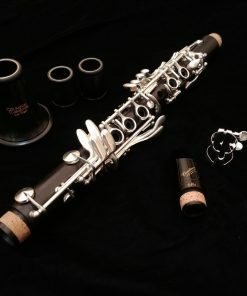 Vandoren 5RV Eb Mouthpiece Included! With our Kessler Custom instruments, we have always worked on providing players exceptional performance and quality at affordable prices. 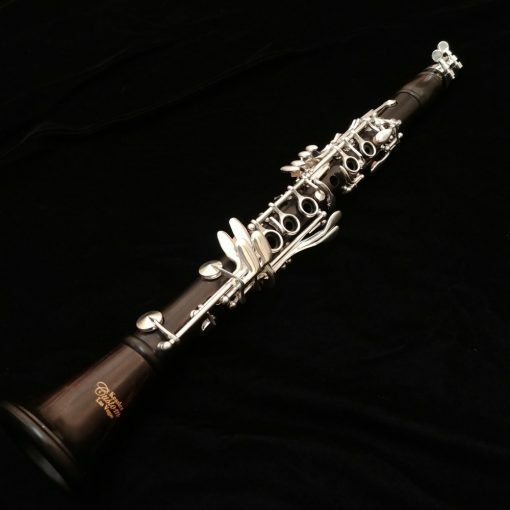 With this philosophy in mind, we are proud to release our new Wood Eb Clarinet. 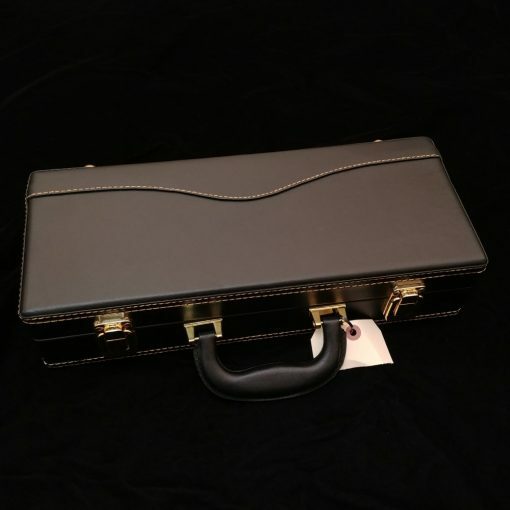 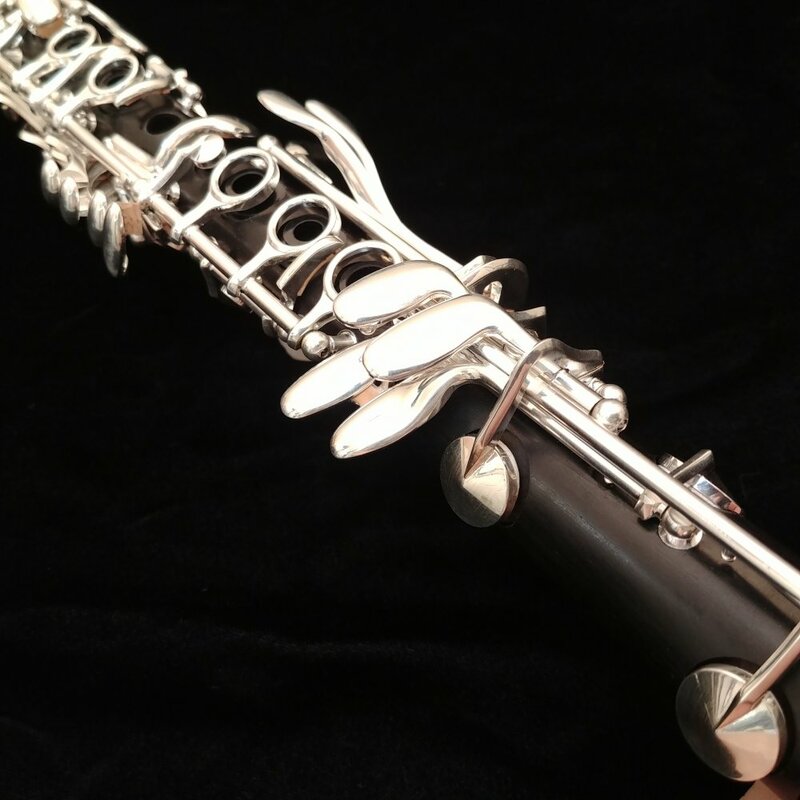 This instrument is made in the same facility as our Bb Clarinet and our Low C Bass Clarinet making us able to provide the same performance quality and value that those models have impressed players with. 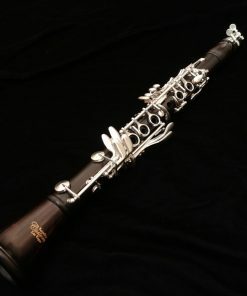 Our Wood Eb Clarinet offers an affordable instrument with great overall playability, tone and value. 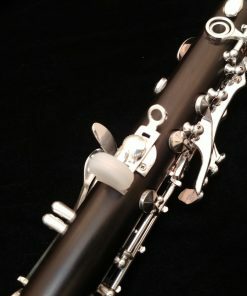 Most customers in the market for an Eb clarinet also do not have a good mouthpiece setup for their new purchase. 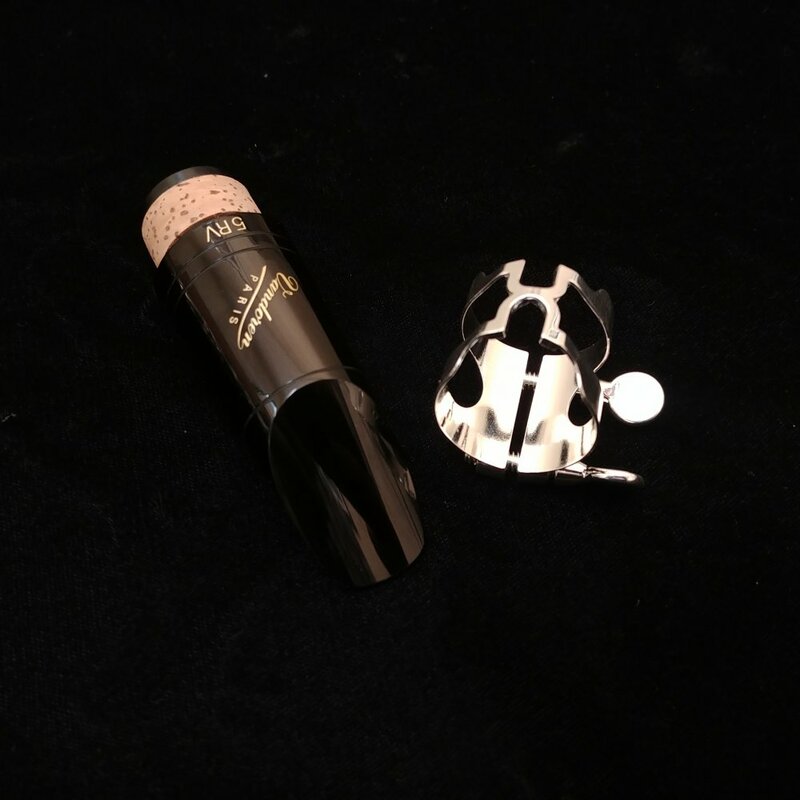 So we opted to include a Vandoren 5RV Eb clarinet mouthpiece and a Rico H-Ligature performance ligature as part of the package. 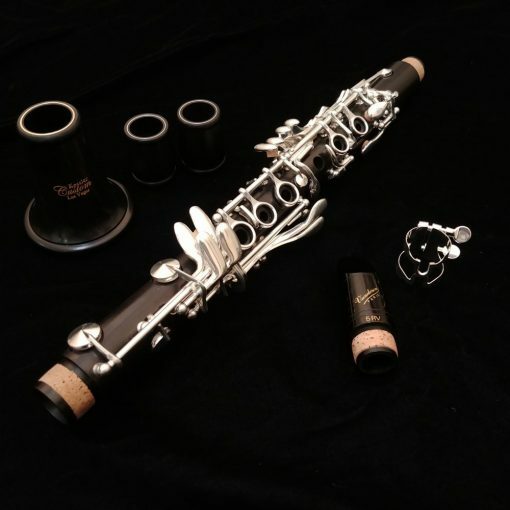 This combination gives exceptional control, performance and since it is included, an even better value! 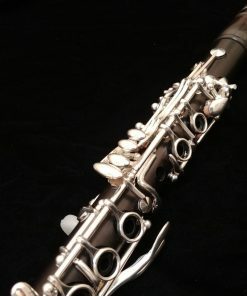 These combined Retail value of $239.49! Like our Bb model, we stayed with an all wood clarinet – meaning no metal tenon rings. We had a marvelous quality of wood with our Artist Series wood clarinet, a premium cut that is aged and left unstained to showcase this premium wood’s natural beauty. 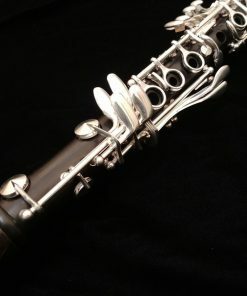 This “Ringless” design meaning that none of the tenon sockets would use a metal band that could restrict vibration. 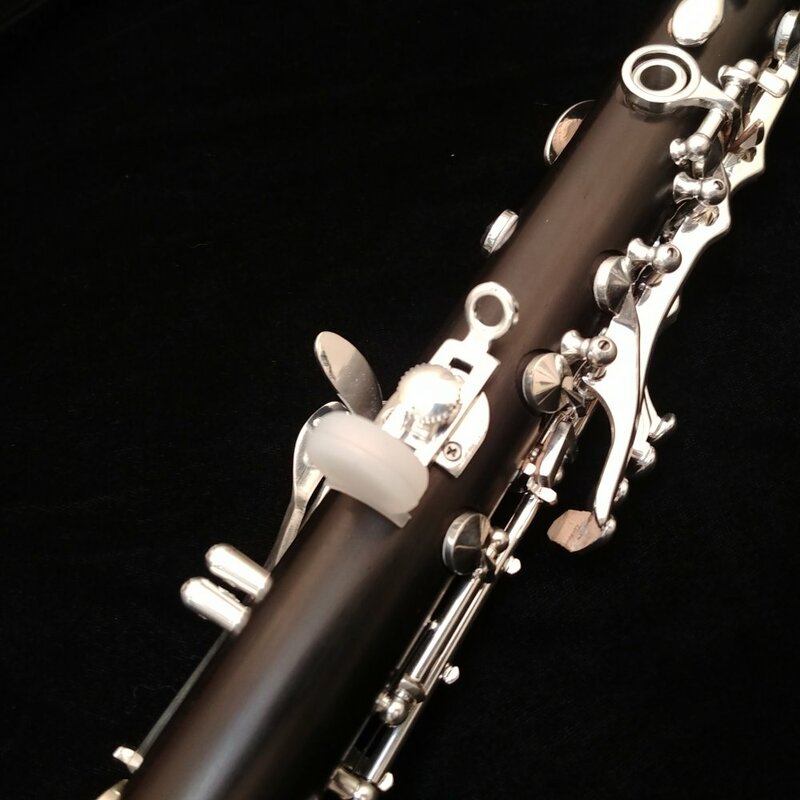 However, this introduces a structural weak spot at the tenons that needed to be stabilized. 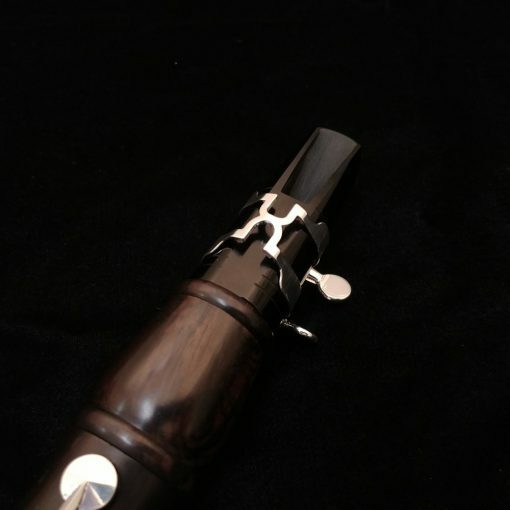 So with our wood Eb clarinet, we had a small metal band inlaid into the wood tenon to add strength to the sockets while still providing the ringless design concept. 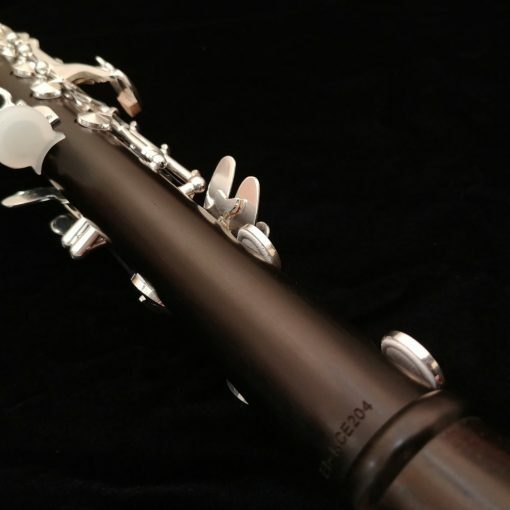 This has become a common design element of the world’s highest-end clarinets but has not found its way into the affordable segment, until now. 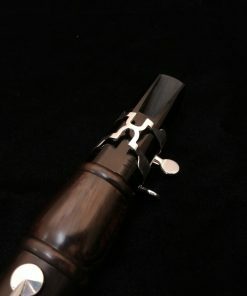 It would have been enough to do this at the center tenon only, but we didn’t stop there. 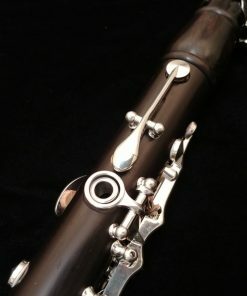 We had all of the receiving sockets on the body, bell and both sockets of the barrels equipped with this feature. 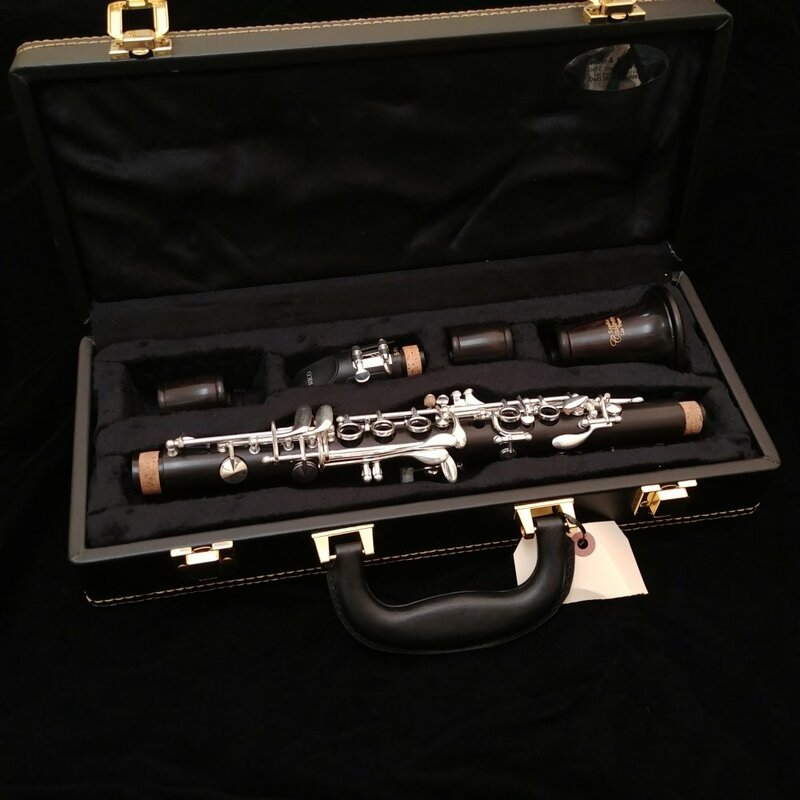 This gives our wood clarinet an unmatched resonance and strength combination for this price segment. 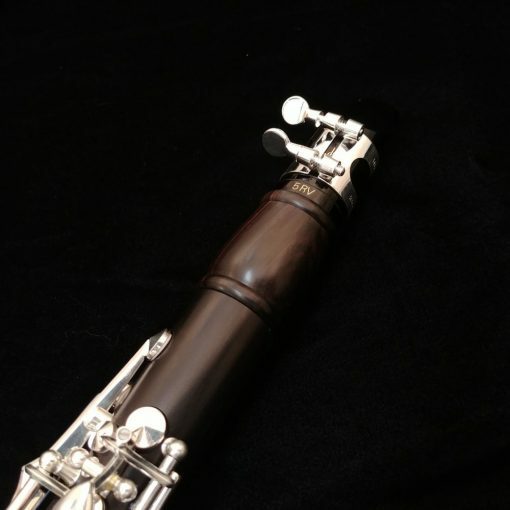 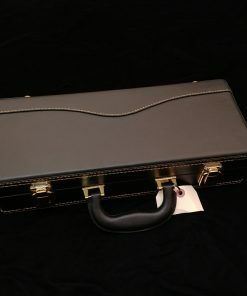 We opted for leather pads on our wood Eb clarinet in order to provide exceptional seal and performance, but to also keep the tone mellow and sweet. 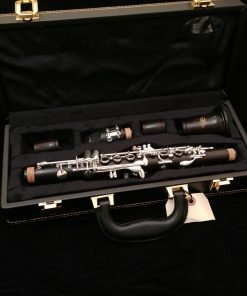 Every 2nd Generation Artist Series wood clarinet we send out to a customer is not released from us unless it has been completely setup in our shop first. 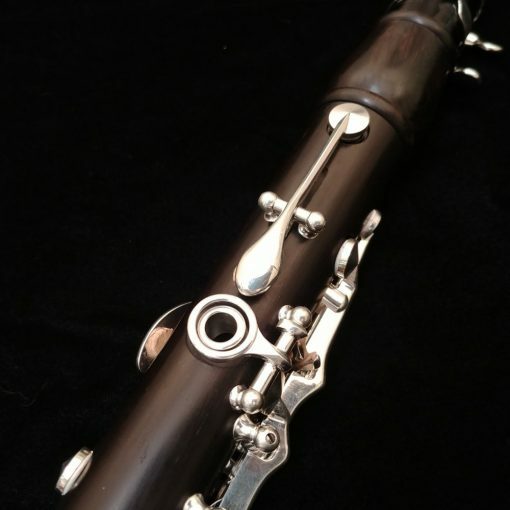 This is because the setup on our wood clarinet is of the utmost importance! Sometimes, a clarinet (regardless of who the manufacturer or the price point is) comes in needing 20 minutes of adjustments and then the very next one can require 2 hours! 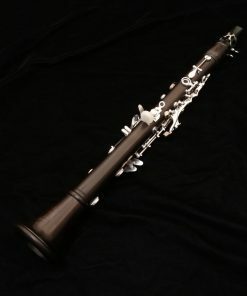 This is why we perform our setup (in our www.ClarinetRepairs.com ProShop) on your new wood clarinet before delivering it to you. You trust us with your purchase and we want to make sure that you are rewarded by giving you your new Kessler Custom Artist Series wood clarinet setup flawlessly! 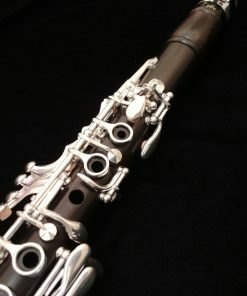 Some vendors of affordable performance clarinets use hard rubber instead of wood for a variety of reasons. 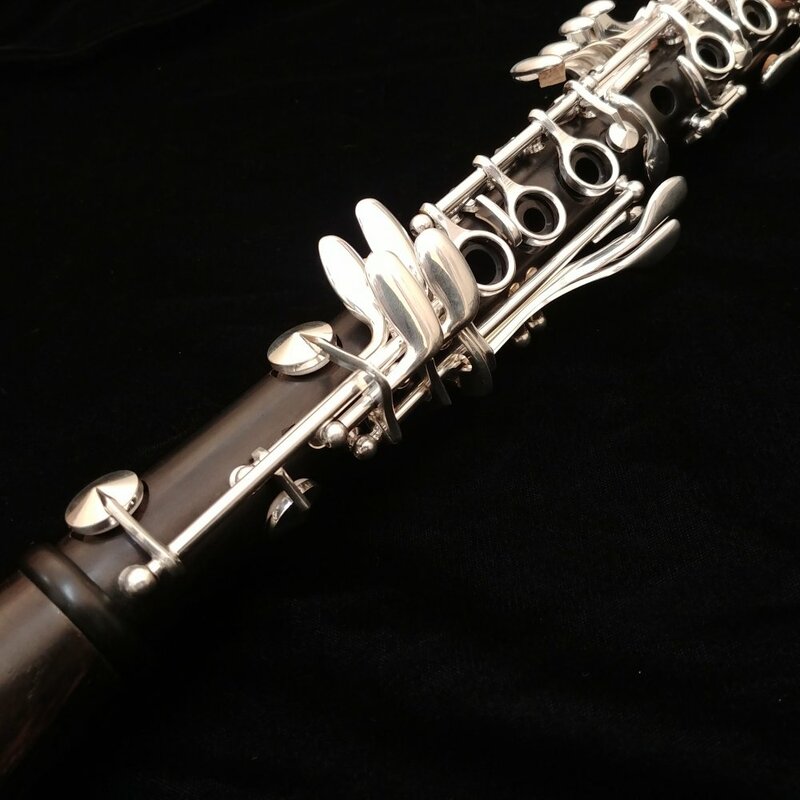 They tout the “resonance” and “durability” of it trying to make you believe that hard rubber is actually better than wood… to be blunt, we disagree. 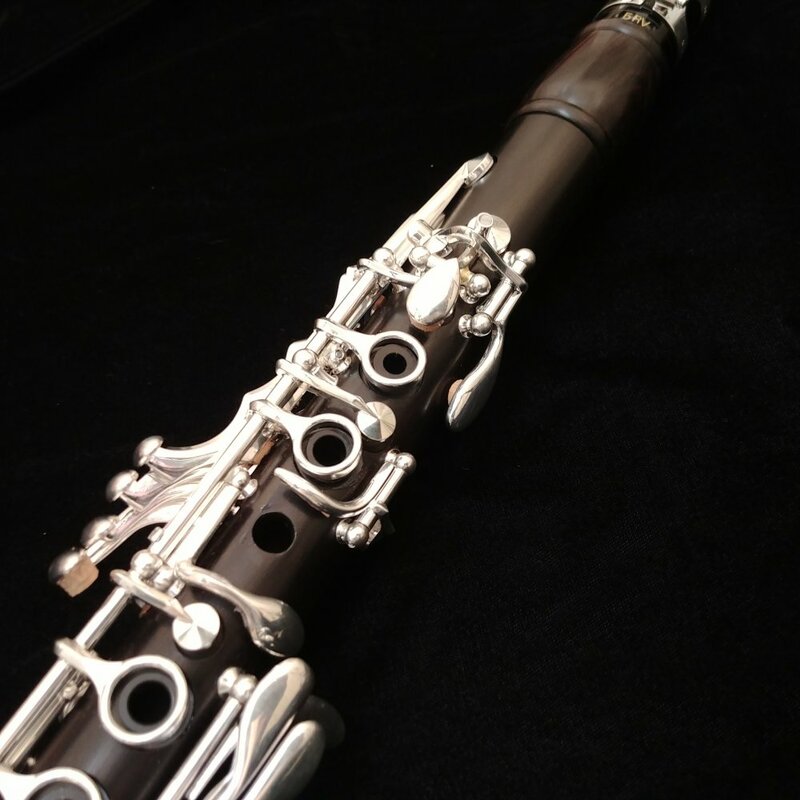 In our opinion, a premium quality wood is immensely better than hard rubber. 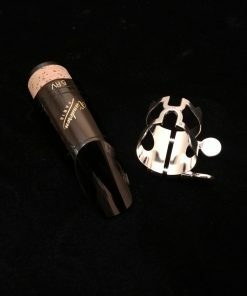 It has more mass and produces a richer tone. Hard rubber is less expensive and easier to manufacture with, which makes it a tempting alternative. 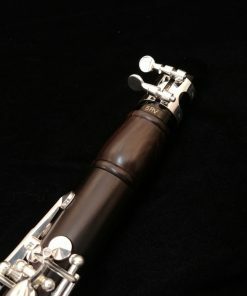 Wood takes longer to age before it can reliably be used in an instrument… but like they say: “Good things come to those who wait”. 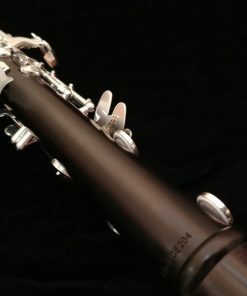 We believe that the “easy” way is not the right way when it comes to achieving the best performance from our Kessler Custom wood Eb clarinet. 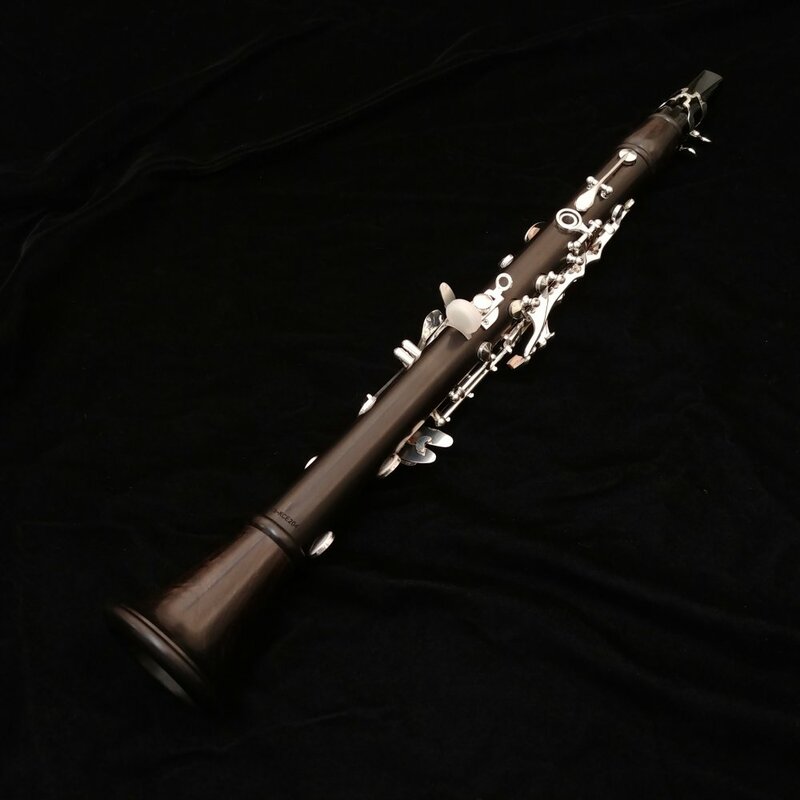 We believe that a great piece of wood, like we use, is going to provide you with a better sound AND the stability that you require. Yes it costs us more and takes longer to do right, but it’s worth it because your sound is worth it.